The downward trend in business insolvencies is expected to continue, reaching its lowest figure since September 2012 with 58.031. 2017 should even experience a further 1% slider against 2016. Moreover, fewer employees are caught up in company insolvencies (2.6%) while more companies are being created (+9.8%), almost returning to pre-crisis levels. 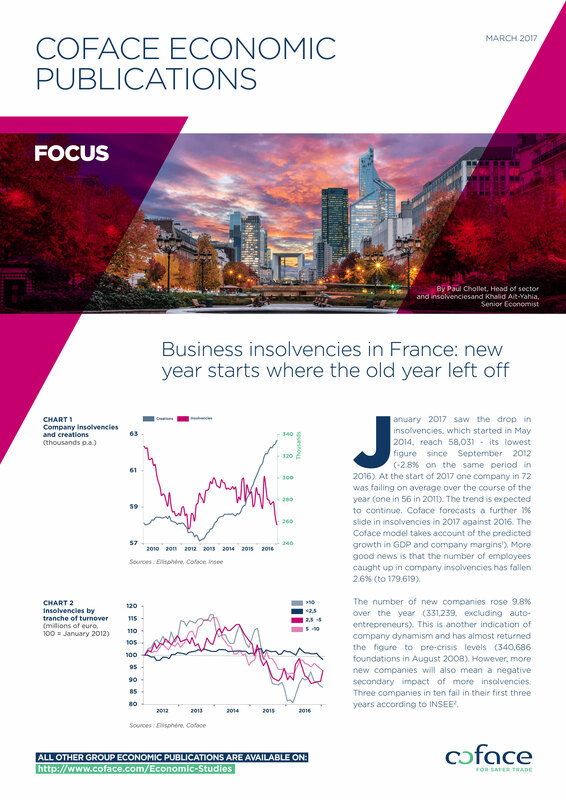 However, since there are more companies, the number of insolvencies is also set to rise.